Delta 2019 : poll says PDP will win elections, Okowa most suitable as governor . : If general elections are held now, the PDP will leave behind the APC says a DNA Nielsen survey released today. Only 18 percent of the respondents interviewed between December to this month in 28 cities across in Delta state said they intend to vote for the APC led by Great Ogboru , a statement said. In contrast, 75 percent said they would vote for the PDP which is led by Governor Okowa . “It is important to note here that in all DNA News-Nielsen surveys last year, PDP have shown consistent growth through out,” it said. The survey showed that the other parties a total of 5 percent. 2 percent of the respondents refused to give their opinion. 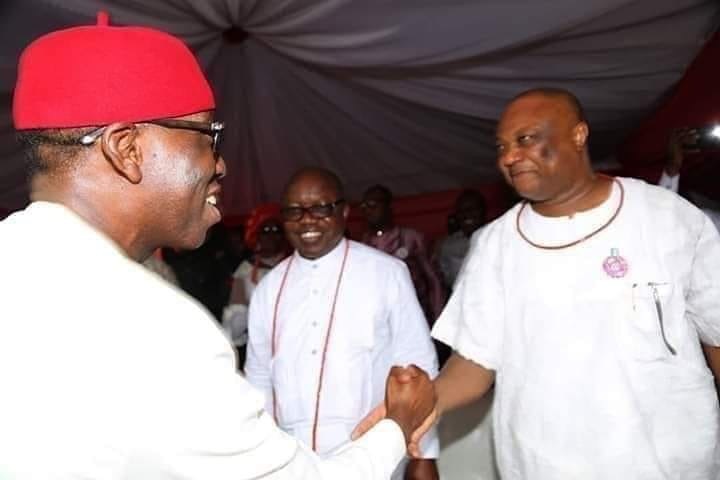 80 percent believe Okowa’s performance as Governor is “very good “ while 10 percent termed it “good “ Only 10 percent refused to comment on his performance . According to the survey, Governor Okowa has emerged as the most suitable candidate for the post of governor . He beats Great Ogboru APC Governorship candidate quite comfortably. As many as 75 percent favoured Okowa as as governor while only 18 percent wanted Ogboru to take over the top post.